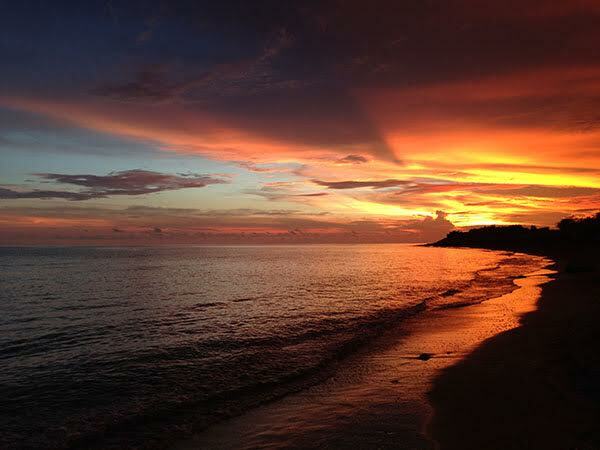 Home » Opinion/Guests » Guest Authors » Steve Patterson: Bucket List? – Cuba! Steve Patterson: Bucket List? – Cuba! I don’t know exactly when it happened or why. I only know it happened. Why have my dreams, yearnings and ambitions retreated and become smaller? Why did my “Bucket List” become so short? You know, the list of things you want to do before you die – before you “kick the bucket.” Maybe it’s not about my own mortality at all but, rather the simple joy such exposure brings. My list is shrinking! I have always grabbed life with both hands and tried to steer it as if it were a bridle on a spirited horse. I rode life wide open, not galloping, but out-and-out running – full throttle – jumping ditches, fences and all obstacles with little regard for danger or tomorrow. Sometimes I wonder why I write these columns; why I share my experiences, opinions and dreams? Perhaps some of you have had the same thoughts? I write about them so I can be certain that someone will. It’s really that simple. Maybe, just maybe, they will not only inspire others to live life with the same gusto I have enjoyed, but also serve as a cautionary lesson that danger is real and tomorrow always comes. 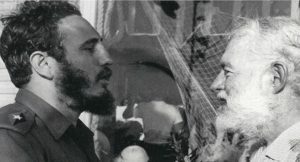 Fidel Castro and Earnest Hemingway in Havana May 15, 1960, 14 months before Hemingway’s death. I have enjoyed a full life and been blessed with many opportunities. Oh, I fell along the way a few times and got kicked a few times, and rode in the wrong direction on occasion, but somehow I was always able to crawl back up and eventually find my way. My life has been filled with paradoxical contradictions, soaring success, disappointing and often embarrassing failures, and thrilling excitement. As I anxiously await the arrival of my Medicare card and sort through the daily solicitations from AARP, I can’t help reflecting on my life and considering the reality that more of it is now behind me than ahead. As a young man I was a boxer; I had 14 amateur fights and won 13, earning me the nickname “Floyd” from my high school and college buddies. I once rode a retired, professional rodeo bull named Martin Luther; that is if you call 1.9 seconds riding. Thankfully, I did not earn a nickname from that experience. I have hunted and fished all the prime spots in North America. I have attended baseball’s World Series, football’s Super Bowl, and four Kentucky Derbies. I have seen Bob Gibson pitch a no-hitter, Lou Brock steal second base and Hank Aaron hit a home run. I saw an amazingly athletic ballet performed by Mikhail Baryshnikov, worshipped with the Vienna Boys Choir, and attended opera performances in Rome and Venice, Italy. I have traced the footsteps of Jesus and the Disciples in Israel. I have visited most of the landmarks of Europe, East and West. I have seen Moscow’s Red Square at midnight and Beijing’s Tiananmen Square at first light. I have climbed Paris’ Eiffel Tower and China’s Great Wall. Aretha Franklin, Ray Charles, James Brown, Willie Nelson, Waylon Jennings, B.B. King and Barbara Streisand are but a few of the performance artists I have seen in concert. On September 11, 2001, when terrorists flew an aircraft into the nearby Pentagon, I was stuck in a taxi in front of the White House with Vice President Joe Biden’s brother Jimmy and Ambassador Tom Anderson. As a layman, I have preached The Gospel in over 50 churches of every denomination, scattered across Mississippi. Neshoba County fair patrons heard me speak 9 of the twenty-some-odd times I attended. I have dined in the White House and several state Governors’ mansions many times. I once discussed politics, religion and boxing with Mohammed Ali over dinner, courtesy of my friend Charles Evers. I have worked side by side with many of the titans of Wall Street. I have attended 4 presidential nominating conventions and two presidential inaugurations. My name has appeared on ballots in Mississippi 6 times, and I won 5 of those contests. Financial comfort and poverty have both been frequent visitors at my doorstep. I have felt the move of The Holy Spirit on my life and witnessed it in the lives of many others. I have attended the National Tobacco Spitting Championship in Raleigh, Mississippi, and won the National Muscadine Stomping Competition in Pelahatchie, Mississippi. I have been befriended by presidents, governors, senators, professors, poets, songwriters, bookies, bootleggers, Klansmen, Black Panthers, saints and sinners alike. I have loved and been loved. I have aided in the prosecution of many criminals and have been prosecuted as one myself. I have, metaphorically, soared with eagles and crawled with snakes! As you can see, I’ve had a pretty dog-gone exciting roller coaster life. Maybe that helps explain why my Bucket List has suddenly gotten so short. I’m tired!! Scotland. I want to visit Scotland and see where my lowland ancestors lived, toiled and worshipped. The Northern Lights. I want to camp with my two sons, perhaps on a pristine lake, where God’s magnificent light show is in its fullest splendor. I would really like that. And finally, I want to go to Hemingway’s Cuba. Ernest Hemingway’s delicious writing has always satisfied my tastes for fiction, but I find reading about Hemingway the man, especially his time spent in Cuba, nothing short of spellbinding. I have always been captivated by the tales of Hemingway in Cuba. However, “Papa” was not what first inspired my fascination with The Island. Rather, it was two fellow Mississippians that first roused my fascination about Cuba with riveting anecdotes of their time spent on the island nation. Fred Larue, a wealthy oil man, one of the fathers of Mississippi’s modern day Republican Party, and the first person to plead guilty for obstruction of justice in the Nixon-era Watergate scandal, was my dear friend. I absolutely loved the man. In spite of his Republican roots and my Democrat affiliations, he was one of my chief political allies and confidants. He had one of the best political minds I have ever encountered. One of my fondest memories is watching All The President’s Men with Fred, who was, of course, one of the central figures in the plot. Fred inherited many millions of dollars in 1957 after accidentally shooting and killing his father on a hunting trip in Canada. He was reportedly the largest financial contributor to Barry Goldwater’s 1964 Presidential campaign. 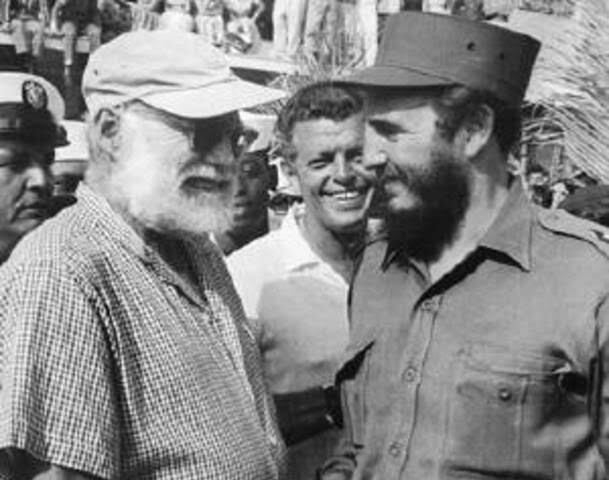 He also invested heavily in pre-1959 Havana casinos and a plantation, used primarily for quail hunting, on the outskirts of Havana. 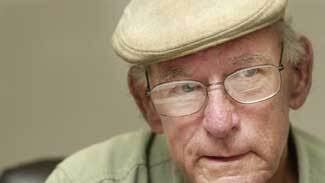 Fred enthralled me with stories of his experiences in Cuba. One of the most gripping stories was about the day Castro and the Revolutionaries seized Havana and the surrounding areas. Fred was there hunting quail when one of his employees rushed into the field with the warning that Castro’s forces had overtaken Havana and were on their way to the plantation. Fred immediately abandoned the hunt, quickly boarded his private plane and headed home to Biloxi, Mississippi. As he was leaving, he tossed a set of keys to his trusted Cuban friend, with instructions to save the boat he had docked in Havana’s harbor. As the plane taxied down the grass runway, Fred and the pilot could see the Revolutionaries chasing behind them in jeeps and on foot. They escaped without a minute to waste. Months later, his loyal Cuban friend called him with the unexpected good news that both he and the boat had safely arrived in Costa Rica. Fred immediately made arrangements to retrieve both his boat and his friend. “If it ever becomes possible again, we are going to Cuba, Steve. It’s the most magnificent place on Earth. I can’t wait to show it to you. You will love it!” Fred would often exclaim. Sadly, Fred passed away in 2004, having never returned to his beloved Cuban paradise. My long-time friend, Tishomingo lawyer Phillip Whitehead, is a true renaissance man: lawyer; U.S. foreign policy expert; voracious reader; entrepreneur; connoisseur of fine art, food, rum, coffee, cigars, and music; raconteur par excellence. Phillip’s entire adult life has been devoted to cultivating opportunities, relationships and knowledge throughout Latin America with a special emphasis on Cuba. For the past several decades he has been among the handful of U.S. citizens licensed by the U.S. Treasury Department to freely travel and trade with the Republic of Cuba. Over the course of the last several years, Phillip and I have discussed U.S. Cuba relations in great detail, and much of what follows in this column is our collective analysis of what is perhaps the most misguided U.S. foreign policy ever, and serves as a painful reminder of the pitfalls of pandering to political special interests in foreign policy formulation. 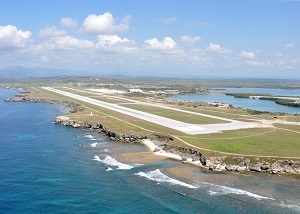 At midnight on January 1, 1959, two planes left Havana, Cuba, bound for Santo Domingo, Dominican Republic. 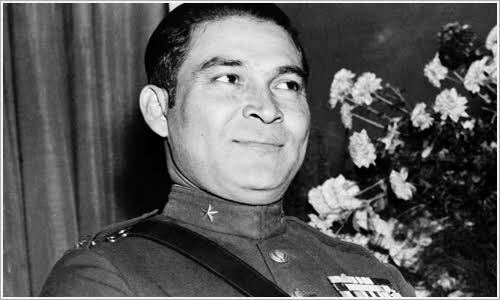 In those planes were the Cuban President, Fulgencio Batista, and his inner circle. This was more than a midnight flight of a foreign dignitary trekking to another country for political ends. It was an abdication of his position under the cover of darkness, calculated to ensure his safe passage out of the country. In the face of a pending overthrow of his government by young Revolucionaries led by Fidel Castro, his younger brother Raul Castro and their Argentinean confidant Ernesto “Che” Guevara, Batista had sought political refuge in the United States, but that request was firmly denied. The Revolucion ushered in a new era of unrest, upheaval and uncertainty. Castro’s new Revolucionary era has persisted from January of 1959 to present day, with each President of the United States renewing an isolationist policy predicated on the idea that, through political and economic isolation, the United States could convince the Castro government to abandon their form of government in favor of democracy and freely held elections. Notwithstanding the obvious failure of that policy, it persisted until December 14, 2014, when President Obama announced a new policy favoring engagement and normalization of relations between the two countries. How did it take 55 years to reach the point where we admit the broken method of isolation has not worked and a new approach is needed? The great thing about history is hindsight provides all of us with 20/20 vision. It is easy to calculate the wrong turn when you are looking at failures from the vantage point of 55 years of hindsight. As human beings, we tend to look at failures and try to decide who was at fault. In the instant case of the relationship between Cuba and the United States, fault is in great supply and there is plenty to be shared. However, very few folks who make small mistakes are interested in being known for them and those with greater mistakes are even less inspired to take credit. In 1958, prior to the fall of the Batista regime, 85% of all goods consumed in Cuba originated in the United States. If a Cuban decided he wanted to buy a Cadillac car from the dealership in Havana, he placed an order and it was delivered on the ferry the very next day. Many Cubans sent their children to study at universities in the United States following graduation from high school. Cubans readily traveled to the United States to visit family and to go on vacation. Many more Americans traveled to Cuba during the winter high-season, from November to March, to escape cold weather and enjoy the sun, sand, gambling, dancing, cigars and rum. Many Americans and American companies had businesses located in Cuba and the island provided the valuable export of sugar to the United States. The United States maintained a policy of buying all of the sugar produced in Cuba at a preferential price in the market. The relationship was mutually beneficial to all parties. So, how did we get from there to where we are today? Who can we really blame? The names are too great to list, but there are several pivotal points that changed the direction for both countries. In 1898, Teddy Roosevelt and his Rough Riders stormed up San Juan Hill in Santiago, Cuba, at the close of the war between Cuba and Spain. Great credit was afforded the President-to-be for this act of gallantry and the value of his contribution in turning the tide of the war toward Cuba. History doesn’t note much about the fact that the war between Cuba and Spain was virtually over at that point and that Cuba had prevailed. Notwithstanding those facts, the United States Congress passed the Platt Amendment, giving it the right of unilateral intervention into Cuba in any situation where it deemed our national interest to be at stake. Additionally, it allowed the United States a perpetual lease, at the rate of $5,000.00 per year, for a deep water port on the southeastern coast of Cuba known as Guantanamo Bay. The annual payments have been made by the U.S. since occupying the base; Cuba never cashes the checks, as their way of showing the occupation of the base is a hostile occupation by a foreign government. A great black market for booze grew in the US and tourism boomed for Cuba where rum and other spirits were in great supply. US tourists visited Cuba in great numbers for the sun, fun and rum. The Bacardi Rum company created tourist flyers soliciting US tourists to come to Cuba to enjoy the fine Cuban Rum. It is a bit of irony that Bacardi Rum factories are still present in Cuba, but Bacardi Rum hasn’t been produced there for decades. The Act also created a perfect economic environment under which certain black market forces could parlay the desire for booze into great profits. Chicago gangster Al Capone and his successors used this opportunity to develop connections in Cuba to import rum and un-distilled molasses to be refined into alcohol. Great fortunes were made by the Mob and their associates, including the patriarch of the Kennedy family, Ambassador Joseph Kennedy. These same connections led one Meyer Lansky to develop a political relationship with a young, Cuban Sergeant named Fulgencio Batista with an aim toward developing a gambling monopoly in Cuba that had the country’s government as a principal partner in the enterprise. Meyer Lansky, Albert Anastasia, Lucky Luciano and other American mobsters held a meeting at Lansky’s behest at the Waldorf Astoria in midtown Manhattan in 1933. Lansky had cultivated a relationship with the young Sargent Batista, planning to ride his eventual rise in the political world of Cuba to a more formal partnership with the country. At the meeting of the mob bosses, Luciano delivered the news that the “buy in” for the Cuba project would be $500,000.00 each, cash, to provide the necessary seed money to ensure a monopoly for the group once Batista achieved the presidency. Mobster Chuck Polizzi, with the Cleveland mob family, began screaming at Luciano when he heard the amount of cash required to buy into the Havana project. Luciano never budged. In a few weeks, Lansky had assembled the money, all cash, in suitcases and he flew to Havana with Joseph “Doc” Stacher to meet with Batista. The meeting with Batista took place in the hotel where Lansky and Stacher were staying. They took Batista to the hotel and showed him the cash. He was so awestruck he simply stared at the cash for minutes without speaking a word. 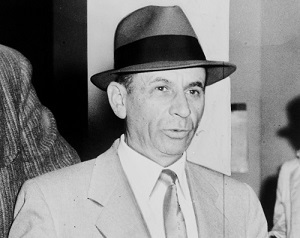 Lansky met with Batista several times over the next week and an agreement in principle was reached, guaranteeing Batista $3 to $5 million dollars per year plus a cut of the profits for a mob-run monopoly of gambling on the island. The deal was made and the rest, as they often say, was history. The Mob had bought for themselves a sovereign nation. Havana grew into the tourist mecca of the Caribbean and the tourism and gambling profits grew until they reached an apex in the late 1950’s. 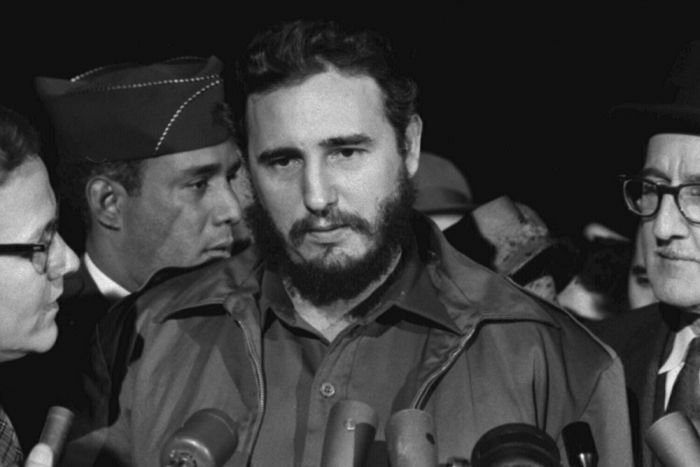 Then came Fidel Castro, who ousted Batista after a two-and-a-half-year guerilla war that ended with Batista leaving under the cover of darkness in the middle of New Year’s Eve night in 1959. Castro never intended to leave things the way they were when corruption dictated the direction of the Cuban economy. That’s why we call it a revolution! It wasn’t the tourists’ desire for sun, fun and gambling that created the desire for a change in government in Cuba. It wasn’t the mob presence that fomented the political environment conducive to the change in government. It was the history of political corruption practiced by President Batista, President Prio and their predecessors which lead the Cuban populace to tire of the corrupt practices of regime after regime. Fidel Castro and his group created a tiny spark that grew into a roaring fire and culminated in dramatic change in Cuba’s political system. By 1962, the United States had implemented a full-scale economic embargo against Cuba, based on the 1917 Trading with the Enemy Act, which authorizes the President of the US to restrict “travel related transactions” and the expenditure of money in any country the President deems a threat to national security. The reality of the embargo has not changed substantively since the Revolutionary overthrow of Batista and Castro’s subsequent rise to power. Now, Americans can again legally travel to Cuba. Actually, mechanisms have existed for many years which allowed “licensed” travel from the U.S. to Cuba by Americans, but the policy enforcement by the Office of Foreign Asset Control (OFAC) has varied greatly from President to President. 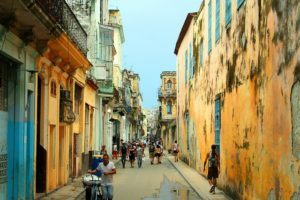 President Obama’s most recent modification to the existing regulations relating to Cuba travel by US citizens has liberalized the restrictions on travel. Normal tourist travel is not allowed, though the categories of permissible travel have been expanded, and OFAC’s policy of enforcement has been relaxed. This is completely within the power of the Executive office by way of the US Treasury Department being within the executive branch of government. President Obama used his executive authority to make all changes that are presently possible to existing policy toward the island of Cuba. Additional increases in tourist travel of Americans to Cuba will require the US Congress to repeal or amend the Helms-Burton Act of 1996. That Act codified the economic embargo of Cuba; it requires that both Castros be out of office and that free and democratic elections be held in Cuba before normalization can occur between the countries. In my view, Congress should act now and repeal this insanity. 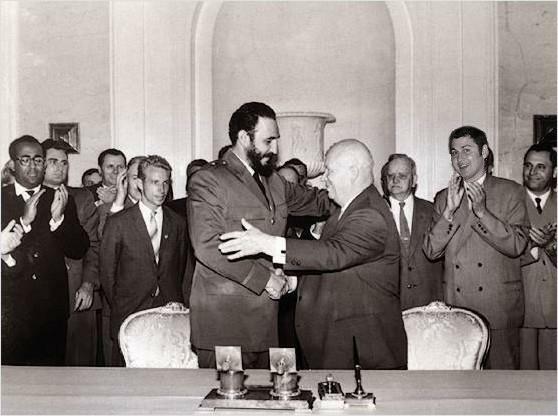 For fifty plus years now, different US Presidents, Congressmen, Senators, and politicians have placed pre-conditions on the normalization of relations with the Republic of Cuba. Doing so has wholly prevented any substantive engagement between the citizens of both countries, to the detriment of all citizens of both countries. The U.S. Government has isolated Cuba politically and economically. News reports during the fifty year hiatus in relations with Cuba have involved defections of athletes, the visit of a Pope, the health of the elder Fidel Castro or Cuba’s involvement with countries that US leaders consider enemies; no good news has been reported. Our history books have largely been silent on any history related to the island past the embargo. In effect, we have written Cuba out of the lives of Americans for fifty-five years. First, we allowed Cuba to first become an ally with our principal Cold War enemy, Russia. After the fall of Communism in Europe in 1989, we allowed Venezuela to take the place of Russia as their principal trading partner. Multiple opportunities for engagement have occurred during the intervening years, but those opportunities were defined by calls from the south Florida Cuban hard-liners to strengthen the embargo to force the fall of communism in Cuba. All of those efforts failed. In the process, normal Cubans were denied economic opportunities afforded to the rest of the world. Consider that the average doctor in Cuba makes a monthly wage that amounts to $25.00 per month. Consider that, beginning in the late 1990’s, doctors, engineers and other professionals began vacating their professions to take jobs in the tourist industry, in order to have access to tourist dollars and a better life for their family. How many times have you had a doctor or lawyer driving your taxi because his tips as a taxi driver are greater than this monthly wage? It makes for a great conversation during your ride, but is sad commentary on the cause and effect generated by the political bickering of those who live without knowing what true need is. The reality is that state and federal benefits to Americans living below the poverty income level greatly exceed what the highest earning Cuban professional makes. Empathy and sympathy are not the same thing. We Americans live in an embarrassment of riches. Today’s entitlement generation fails to consider our role in creating poverty for our neighbors to the south, ideological differences notwithstanding. 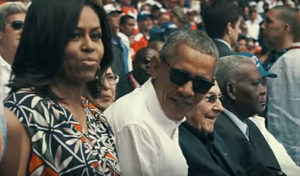 President Obama and Michelle take in a baseball game in Cuba in March, 2016. It had been 88 years since a US President visited Cuba. The move to normalize relations between the two countries by President Obama has been labelled a number of things. It was a bold and courageous move, and one that has proved unpopular with many commentators, pundits, and political opportunists. It has been a welcome sign of opportunity for most Cubans. Why? It provides the possibility of opportunity now. One can live on hope only so long. The idea that economic opportunities will be created by this opening of relations is being celebrated in Cuba, where hope of enhanced economic opportunity has been out of reach for most Cubans for fifty-five years. As Pudd’nhead Wilson so wisely opined, “Nothing so needs reforming as other people’s bad habits.” As Americans, we might need to reform ourselves a little bit along the way, by way of example. The time has come for change in the relations between Cuba and the US. The time has passed for judging people by the form of their government, the label placed on their parties and their economic system. Hunger doesn’t know a political party. It doesn’t discriminate. It feels the same to all. In the end, we are all part of the same group: the human race. “Love thy neighbor as thyself,” could be a great new philosophy between our countries moving forward. Forgive past sins. Forget who gets the blame for the failures and let go of who takes credit for the change. See that the greater good is in doing what is right, and that it will benefit the people of both countries. The right decision of engagement was made by President Obama in 2014. It is now time for the political parties and citizens of both countries to unite and repair the relations. Congress should act now. Bury the past in the past. Cuba has always been on my Bucket List, and thanks to a more enlightened foreign policy and the influence and kind insistence of my friend Phillip Whitehead, I will soon strike it off my list. I’m going to Cuba!! Phillip is presently making all the arrangements and has secured invitations for the two of us to meet with several influential business, military and political leaders, artists and scholars. We will be pursuing business opportunities that have long been unavailable to both American and Cuban citizens. But my hope is we will find a little time for fun and relaxation, too. Hemingway always returned to Cuba for what he termed “renewal visits.” Cuba seemed to restore his creative abilities and cleanse him of life’s clutter. If the recurring day dreams I find myself having lately are any indicator, it will do the same for me. I can see myself sitting in Havana Harbor smoking a big Cohiba, Mojito in hand, watching the old Cuban men play dominoes, as the sun sets spectacularly in the gentle, cool ocean breeze. Perhaps it will restore my melancholy soul and reignite some of my dormant passions. We’ll soon see! 4 Comments on Steve Patterson: Bucket List? – Cuba! I remember going to Cuba as a child. We ate tiny bananas that were delicious and threw the peelings out the window and onto the plaza below. When our parents returned, they saw the peelings and we got into trouble. Phillip will be a good one to go with Steve. Y’all will have fun for sure! You never cease to amaze Steve! What a read!